The Boston car accident lawyers and the staff at the Law Offices of Jeffrey S. Glassman want to wish each of you a Merry Christmas and a safe and enjoyable new year. Please celebrate responsibly and don’t drink and drive. The Mothers Against Drunk Driving (MADD) organization works hard every day of the year but it is this time of year that they try a little harder to get their message out to the country. The holidays are a special time for families, unless they are mourning or remembering a loved one killed by a drunk driver. Penalties vary from state to state, but 5-15 years in prison for vehicular homicide is common. 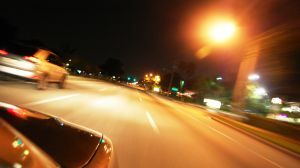 Recently updated in October 2010, MADD reported that Massachusetts drunk drivers if found negligent will be sentenced to no less than 2 ½ years or no more than $5000. If carelessness behavior is not found their sentence is no less than 30 days or more than $3000. In 2009, MADD ranked Massachusetts at 31, meaning only 19 states are safer to be on the roadways when it comes to drunk driving. There were 108 fatalities in Massachusetts as a result of drunken driving crashes. Unfortunately, MADD also reports that 4,840 people were 5 time DUI repeat offenders. Massachusetts is one of 48 states who enforce the ignition interlock device with a second offense. The device is an apparatus in which repeat offenders place in the ignition of their car and have to breathe into a tube before igniting the vehicle. MADD is currently working with the state of Massachusetts to enforce for first-time offenders. -In remembrance of your loved one you may want to donate gifts to a needy family or child’s organization. Sometimes doing a good deed is the best medicine to get you through the tough times. -Instead of drowning in thoughts of sorrow, get your family members together and share fond memories and stories of your loved one in an effort to make it a happier occasion for everyone. – Start a new tradition at the holidays doing something your loved one might have really enjoyed like taking a trip, or purchasing a favorite gift. For more information on the current holiday campaigns: “Tree of Life Tribute Fund”, “Tie One on for MADD”, “Give the Gift of Designated Driver” visit MADDS website and find out how you can help today. The Law Offices of Jeffrey S. Glassman ask that you don’t drink and drive this holiday season. If you are involved in an accident in Boston or the surrounding areas call for a free consultation at 877-617-5333.